Our Casa program is a three-year program, beginning the year a child turns three. 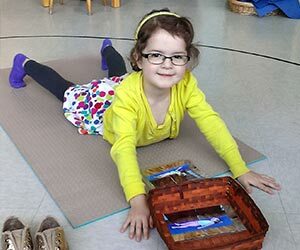 Our bilingual Casa (Casa dei Bambini or “Children’s House”) program is led by two AMI certified Montessori guides and a French-speaking assistant. This program offers many opportunities for children to grow, learn and explore in a respectful environment that supports their individual needs. Children are encouraged to make new discoveries, to learn from their classmates and take an active role in caring for their environment. Snacks are provided in the mornings and afternoons and a healthy lunch is cooked in-house by a certified chef. There is a daily outdoor play time and a rest period in the afternoon for those children who require a rest. Practical Life activities are designed to be a distillation of everyday activities. Some examples are pouring activities, washing linens, sewing and setting a table. 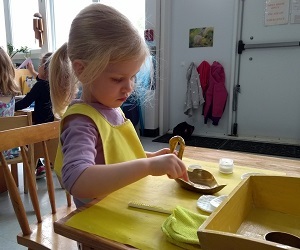 Practical Life activities help children to develop a sense of independence and responsibility, to refine their fine and gross motor skills and to develop strength, coordination and balance. Sensorial activities introduce children to classification and identification of various objects according to size, shape, weight, colour, temperature and smell. 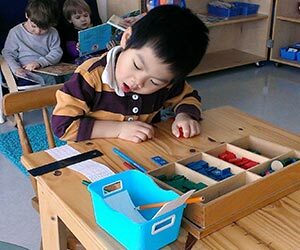 Children develop a greater awareness and understanding of the various qualities of objects in their environment. Children are exposed to language learning opportunities on a daily basis. Teachers speak using enriched vocabulary, tell stories and sing songs. 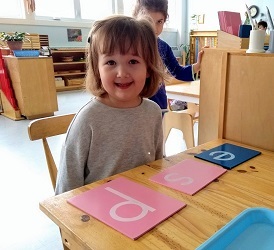 Children will begin to work with the Sandpaper Letters to learn specific letter sounds. As they progress at their own pace, they will start to create words, read and write, and work with various activities to develop an understanding of grammar. 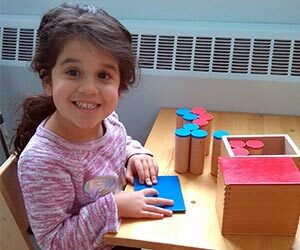 Children become able to comprehend both the physical and abstract nature of numbers and begin to work with various math activities to form a strong understanding of counting and the decimal system. Depending on their interest, children may begin to work with the mathematical operations (addition, subtraction, multiplication and division) before graduating from the Casa classroom. 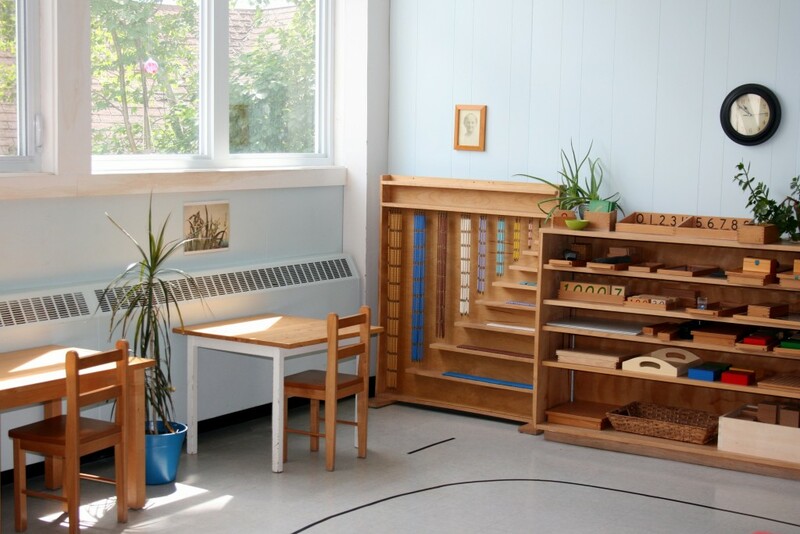 Expressions of our culture are everywhere in a Montessori classroom, from the pictures on the walls to the songs we sing and the stories we read. More concrete opportunities for cultural activities exist through children playing the Montessori bells, easel painting, exploring art cards and geography folders, working with puzzle maps and flags of the world. Our Casa classroom is a bilingual environment, where the Montessori guide gives presentations in English and the French Assistant plays a supportive role while speaking fluent French. This assists children with learning another language in a pressure-free environment. Short, fun lessons on French vocabulary are given throughout the day and French songs and stories are introduced at weekly Circle times.